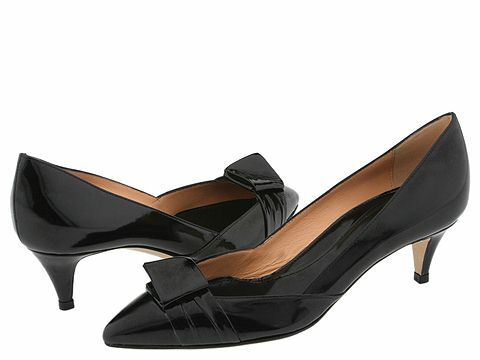 This sleek and sophisticated pump features a pointed toe and a kitten heel. Origami-inspired vamp embellishment. Patent leather upper. Leather lining. Leather sole. Made in Italy.